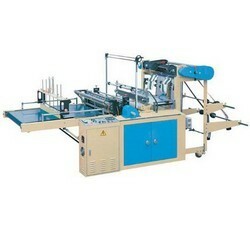 Product Name: Zipper Bag Making Machine. 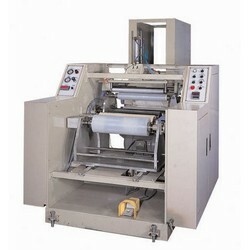 •Designed to rewind small rolls from jumbo rolls. •RW-1 for rewinding fixed width film 300mm, fully automatic feed paper core, rewind, cut & change reel. 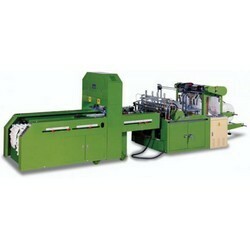 •RW-1 for rewinding fixed width film 300mm, fully automatic feed paper core, rewind, cut & change paper core. 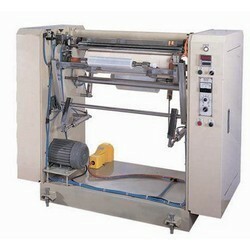 •RW-1 for rewinding fixed width film 300mm, fully automatic feed paper core, rewind. •cut & change paper core. 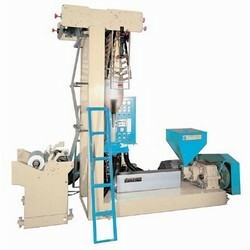 •Under 65mm extruders are suitable for producing T-shirt bags, shopping bags, flat bags, garbage bags etc. 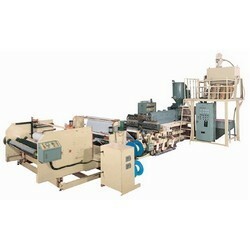 •85mm & 90mm extruders can produce onion bags if customers required. 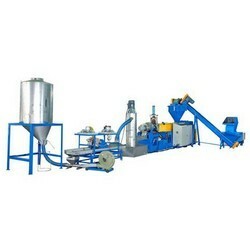 •Barrel and Screw have special treatment and forced feeding for better output. •Adjusting thickness easily by screws of die, high capacity & less plastic waste. •Double lip air ring & better cooling system to support the high speed capacity. 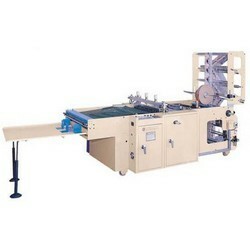 •Full automatic non-tension winder to ensure the film won’t tight the shaft. 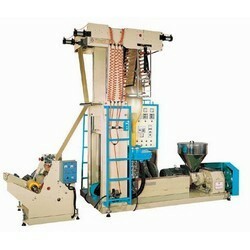 •PP+PE can instead of opp & cpp to reduce the costs of resin & machine. 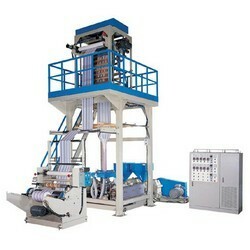 •Available for producing food packing film, special purpose film. 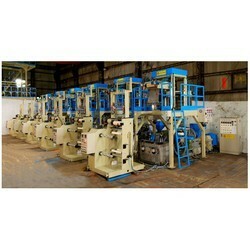 •Different composition of resin can increase film physical properties and reduce costs. 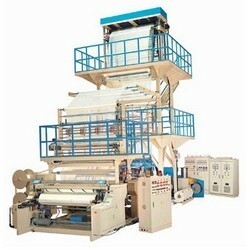 •Available for agricultural film, coated film, stretch film, cling film, greenhouse film etc. •Raw material HDPE, LDPE, LLDPE, EVA, MPE etc. 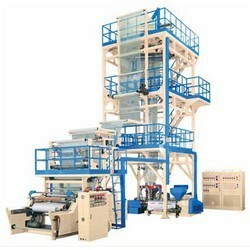 •Application for greenhouse sheet, agricultural film, construction sheet, food package and sack. •Raw material HDPE, LDPE, LLDPE, EVA, MPE. 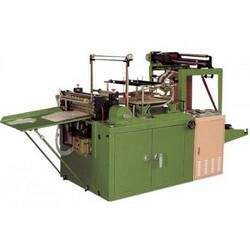 •These flexographic printers are able to print in two colors, in line with extruder machine. 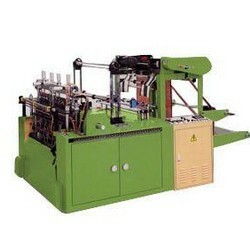 •These flexographic printers are able to print one color, in line with the extruder machine. 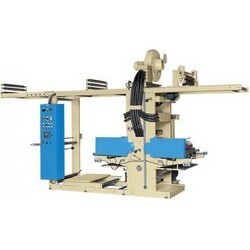 •Standard printing length is max. 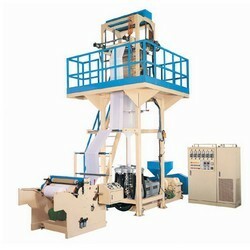 1200 mm, bigger printing length can be requested as your demand. 1. 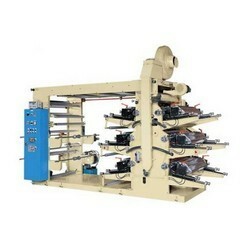 Designed for T-shirt bag and flat bag production. 2. Small occupancy of space. 3. Simple, flexible and economic operation. 4. High output and saving energy. 5. Also can work with LDPE resin if changing inner ring. 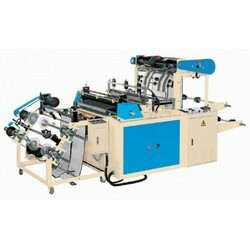 •These flexographic printers are able to print in four colors with the following possibility: 0+4, 1+3, 2+2. 1. 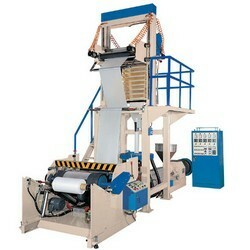 Designed for T-shirt bag, garbage bag and flat bag production. 2. Easy installation and operation. 1. 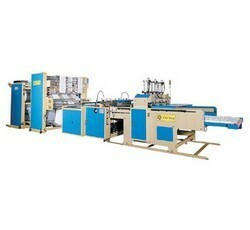 Can produce LDPE, LLDPE and shrinkable film. 2. 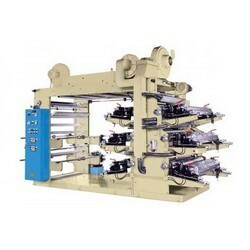 Slitting device and double automatic winder (up-and-down & back- to-back type) is offered to produce single layer film rolls. 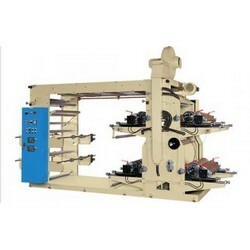 •These flexographic printers are able to print in four colors, in line with extruder machine. 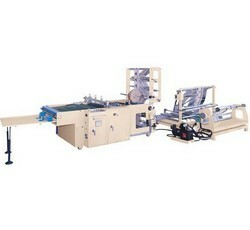 ● Water cooling system makes glossier and more transparent PP film for food or garment packing. 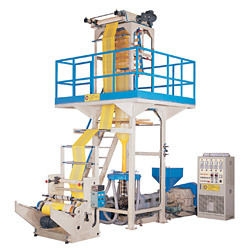 ● Unique screw provides high production for a long period life and holds film uniformly steady. 1. 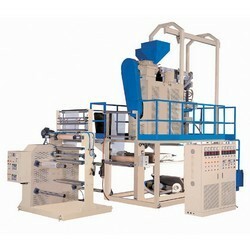 TCP-H is designed by two independent motors, gear boxes and extruders to produce films with two colors stripes. 2. 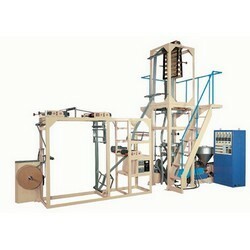 TCP-SE is designed by one motor, one gear boxes & two extruders to produce film with two colors stripes. 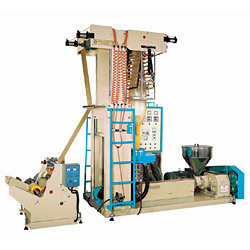 1.PP+PE can instead of opp & cpp to reduce the costs of resin & machine. 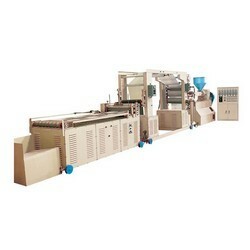 2.Available for producing food packing film, special purpose film. 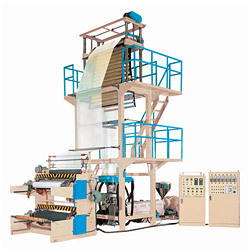 3.Different composition of resin can increase film physical properties and reduce costs. 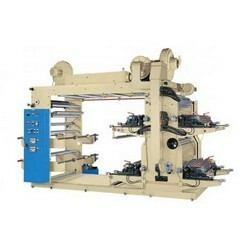 •Standard printing length is max. 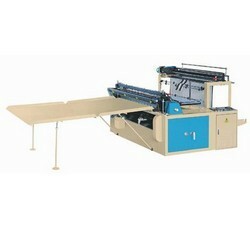 1200mm, bigger printing length can be requested as your demand. 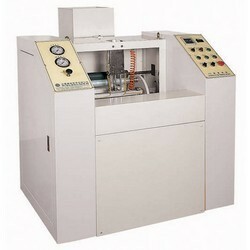 1.Designed to rewind small rolls from jumbo rolls. 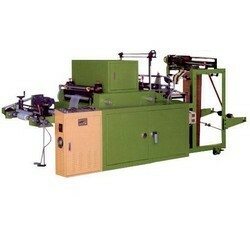 2.RW-1 for rewinding fixed width film 300mm, fully automatic feed paper core, rewind, cut & change paper core. •CB series is without photocell & heat needle device. 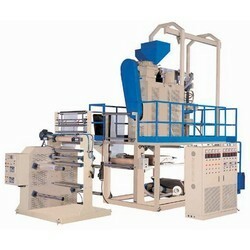 •Only for producing flat bags. 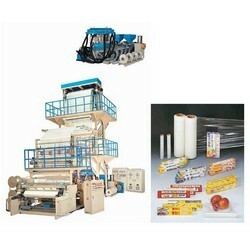 •Designed to produce industrial stretch film, cling film for food packing purpose. 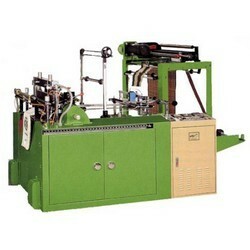 •Slitting devices are provided to produce exactly film width you need, no need extra Slitting machine. 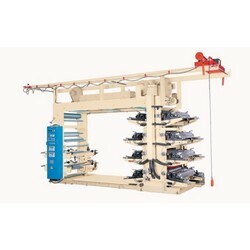 •Specialized for producing T-Shirt bags with heat cutting for non-tension sealing. •CTP Series is equipped with one feeding devices & one printing mark photocell, CTTP Series has two feeding devices and two printing mark sensor. 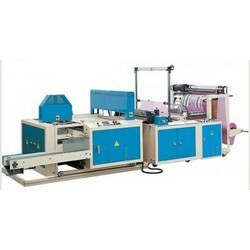 •This machine is for big width film, can heat slit & sealing the film into 3 lines, then pass gusset units to have 3 lines printed T-shirt bags. 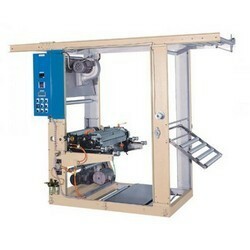 •This machine can be equipped with Japan made servo drive motor. Feeding much more accurate, less maintenance & easy for bag length adjustment. •German Photocell for precise printing mark control. 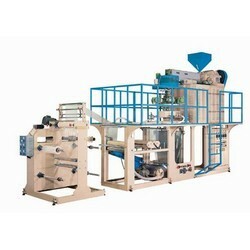 •Suitable for large or thick bags production. 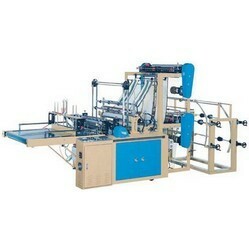 •This machine is no-tension, the sealing won't be pulled. 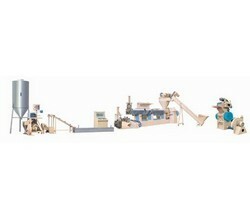 •Optional servo drive for accurate length control. •Automatically stops if any bag is squeezed and an alarm will sound. •Each bag can fold automatically in two or three or four folds to save time and labor, choose how many folds you need when you place an order. 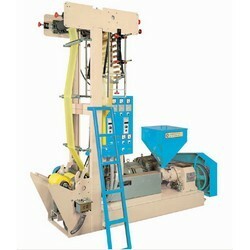 •Suitable for producing garbage bags. 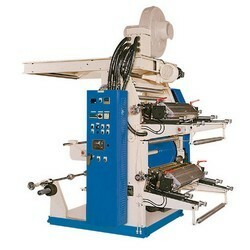 •Designed to produce dotted T-shirt bags. 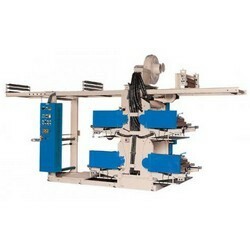 •A puncher is in-line with dotting machine to automatic punch the T-shirt shape. •Equipped with one printing mark photocell. •Easy tear off without breaking. 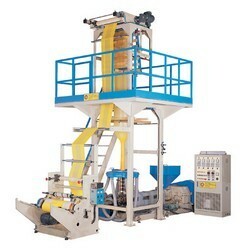 •Available for dry and wet material, but you need to advise us in advance. •Simple operation & high capacity. 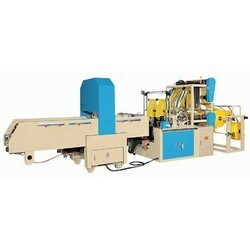 •Application for PP, HDPE, LDPE, LLDPE, PS etc. 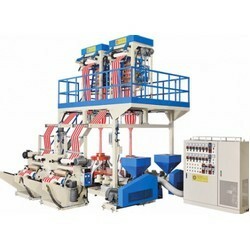 •Double extruder is used for better degasification. 3. 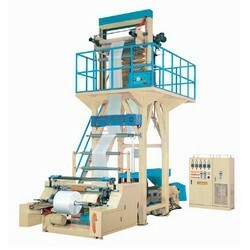 For different machines' structure, can produce PE, PP sheet & PE foam sheet. 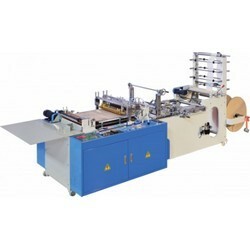 · Designed to produce single line & double lines zipper bags, double zipper bags are upto the bags size & die. · Film thickness is from 0.04 mm to 0.07 mm, optional dies for 0.08 mm to 0.1 mm are options.